Sensitivity has become not just a modern-day buzzword but a contemporary state of mind as increasing number of social and political policies are being set up in in recognition of and respect for diversity. This is felt resolutely in Singapore which is considered the most religiously diverse nation in the world. A small city-state populated by no more than 6 million people, Singapore is home to at least nine major religions including Hinduism, Toasim, Buddhism, Roman Catholicism, Christianity and Islam. Given this historical diversity, religious tolerance is considerably high in the country. In fact, while discrimination against Muslim seem to be at its all-time high elsewhere in the world particularly the West, the trend seem to be running the other direction in Singapore. At present, 15% of Singaporeans are Muslims and there is marked increase of Islamic migrants and converts in the last five years. In fact, there are predictions that Singapore’s Islamic population will eventually outnumber its Christian population in the near future. Not surprisingly, the 75 existing Muslim mosques in the country is expected to double in the next decade. The low religious discrimination in the country is found not just in its political and social agenda but also in its commercial environment as more and more restaurants and food outfits have opted to offering halal viands. 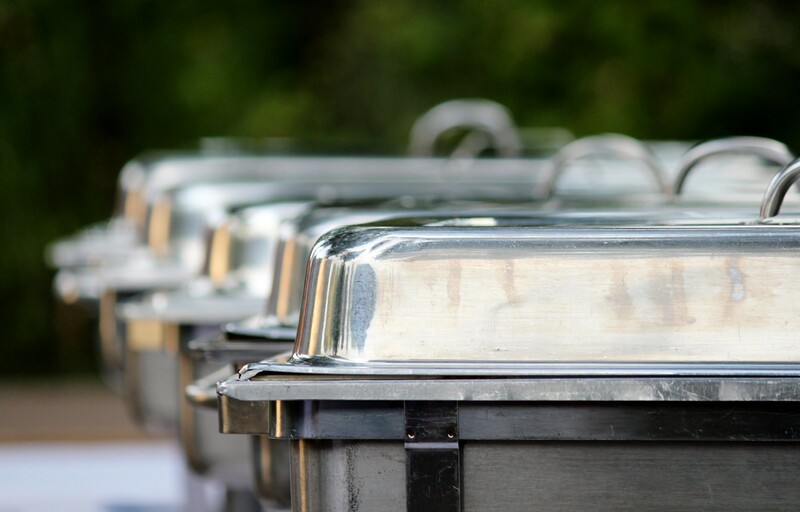 Some have even specialized in providing extensive halal food catering services. There are now a broad menu to choose from as various food catering services in Singapore offer full buffet catering packages that usually include 1 appetizer, 7–9 main dishes, 1 dessert and 1 beverage. Asian halal comes with rice, noodles, vegetable, fish, poultry, finger food, pastry, dessert and beverage. Western or International halal on the other hand come is usually a combination of crab nuggets, Italian baked chicken, golden prawns, fish fillet, sausage croissant, mixed vegetable, bread and butter pudding, salted egg puffs, chocolate eclairs and aloha fruit punch. There are also more regionally specific halal sets like Vietnamese variants offered as bento boxes, like the Shanghai platter, a combination of spring rolls, fresh rice paper rolls with chicken, imperial rolls, BBQ beef in betel nut leaves & mango salad and the Hanoi platter, a mixture of rice paper rolls with prawn, BBQ chicken skewers, butterfly prawns, minced chicken on lemon grass and mango salad. The Japan halal buffet normally includes sushi served with shuyu and wasabi, chicken katsu, tempura prawns, teriyaki, curry vegetables, and green tea. Malaysian halal are meals packaged around the nasi lemak, Malaysian coconut-infused rice and comes with fried chick, sambal, fresh anchovies, peanut, fried egg and cucumber. More healthy options normally include choices from among premium oat rice, mixed grain rice, evergreen vegetables, steamed fish, vegetable chopseuy, tofu, broccoli, whole grain noodles and mushroom. Prices for Bento-style catering usually range from 9 to 20 USD while more special packages can cost up to 45 USD per person. Buffet-style catering for complete meals and courses costs around 600 to 800 USD, All catering services however are inclusive of table, skirting and floral centerpiece set ups. Disposable utensils, plates, cups and cutlery are also included in the packages.